Mike Sheil's Battlefield Photography is exclusively represented at Mary Evans Picture Library. German soldiers under fire from French artillery during the Battle of Verdun,1916. Three soldiers slihouetted on the Western Front. Welsh Guards rest in a reserve trench during the Battle of Guillemont 3-6 September 1916. 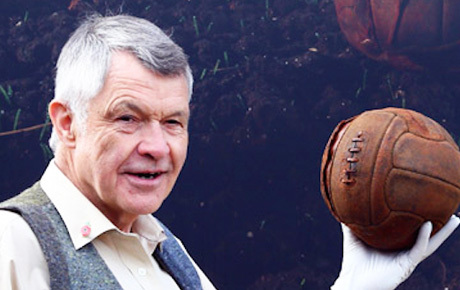 The London Irish ‘Loos Football’ on its home ground below the colliery spoil-heaps of Loos. The Newfoundland Memorial Park at Beaumont Hamel contains some of the best preserved and most easily viewed trenches of the Western Front. Dawn over the river Somme at Curlu. Rain storm over the Messines-Wijtschate Ridge. Reconstructed German trenches at Bayernwald. A collection of munitions stacked in the corner of a private garden. The American Memorial at Montsec. American gun crew from Regimental Headquarters Company, 23rd Infantry, firing a 37mm gun during an advance against the German entrenched positions near St Mihiel, 1918. A battered gun turret atop the Ouvrage de Froidterre. 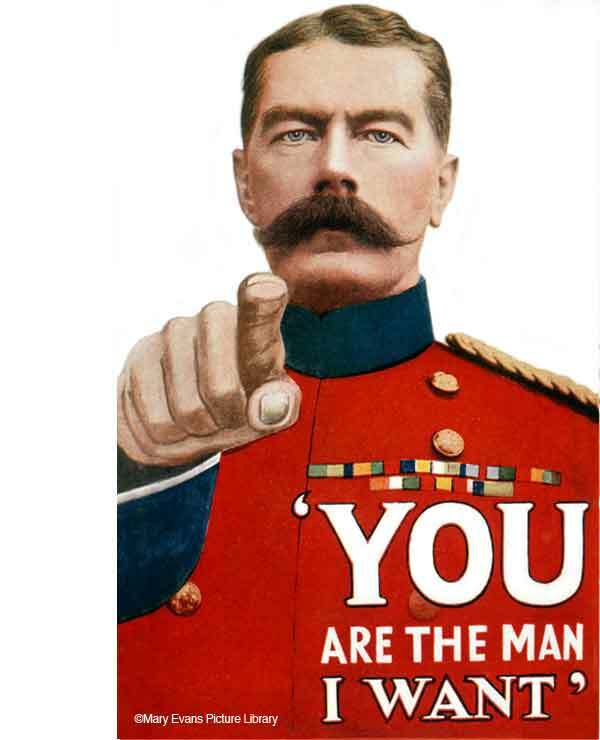 One hundred years later, little has changed except that we would now add the ‘Lady’ to Kitchener’s appeal because just as our country needed those young men a century ago, we need your support to enable us to tell their story to the country today. The Fields of Battle, Lands of Peace exhibition was specifically created as an outdoor exhibition to ensure that it could still be seen by the majority of people who do not visit museums and galleries. By placing it in public places it is accessible to all with an impact which is perhaps best summed up by the visitor on the final day in London who jokingly declared “I’m glad it is coming down as now I will get to work on time”. 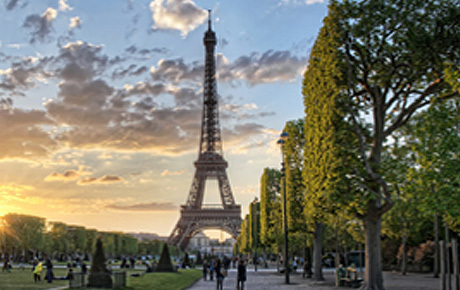 The attraction of the exhibition has been well proven: in 2014 during its four month display in the Jardin du Luxembourg in Paris it was seen by over 2.1 million people (source: French Senat) whilst during its period in London, St James’s Park was visited by 4.7 million people (source:Ipsos/MORI) which represented a 25% increase in visitor numbers over the same period in the previous year. But as an outdoor exhibition we are unable to charge for admission and so we are entirely dependent upon charitable donations and sponsorship to fund future exhibitions. If we are to fulfill this potential to attract large numbers of visitors we need support and sponsorship - YOUR support, YOUR sponsorship. In 2016 we have been asked to create exhibitions to commemorate the battles of Verdun and the Somme in the heart of both London and Paris as well as a number of other other major cities. "As an outdoor exhibition we are unable to charge for admission. As a result, we are entirely dependent upon charitable donations and sponsorship to fund future exhibitions"
This exhibition will provide your organisation with a presence in unique places through a subject whose associations bestow a powerful message to a huge audience. Incorporated into the exhibition programme will be formal openings allied to a series of high profile public lectures and as a sponsor you will be offered a variety of packages which include especial battlefield tours, exclusive sets of limited edition prints and presentation book and the opportunity for personalised lectures from some of Britain’s leading military historians. To date, Fields of Battle has been on display in The Luxembourg Gardens in Paris, London's St James's Park, Nottingham, Strasbourg and Istanbul. Click above to learn more about the exhibition and future destinations. Fields of Battle 14-18 is registered as a not-for-profit charity in the UK. It exists purely through the generosity of the public together with securing corporate sponsorship and grants. Click above to find out more. 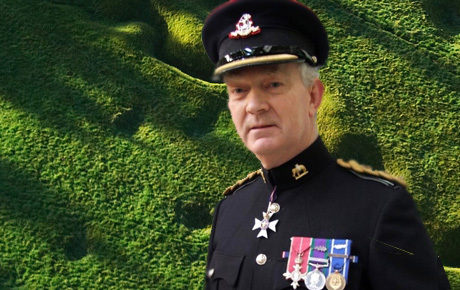 The original concept of the late broadcaster, historian and author, Professor Richard Holmes, it took photographer Mike St Maur Sheil eight years to complete the photography for Fields of Battle. Corporate sponsorship benefits are numerous: this exhibition will provide your company with a presence in unique places through a subject whose associations bestow a powerful message to a huge audience. Incorporated into the exhibition programme will be formal openings allied to a series of high profile public lectures and as a sponsor you will be offered a variety of packages which include especial battlefield tours, exclusive sets of limited edition prints and presentation book and the opportunity for personalised lectures from some of Britain’s leading military historians. Originally created to coincide with the UK launch in St James's Park in 2014, a stunning 122 page, full colour exhibition catalogue is available to buy online. 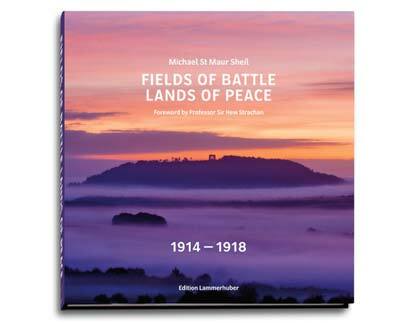 A century on from the outbreak of hostilities, in a series of engaging photographs, Mike has documented the power of nature and time to effect a transformation from the gruesome past and create landscapes whose very shape preserves the memories of The Great War in vistas of peace and tranquility. Featuring personal insights into many of the inages by the photographer, allied with fascinating maps and facts, the catalogue brings the project to life for the reader. 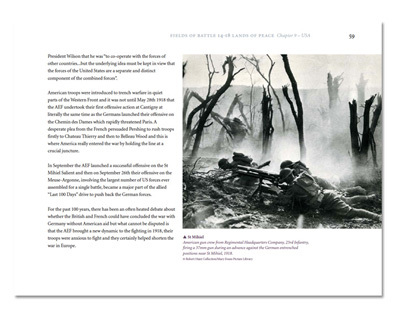 It is further enhanced by a selection of moving archive images from the Mary Evans Image Library, of the landscapes and those that fought there a century ago. Click the catalogue images to the right to buy your copy securely online. A unique portrait of the First World War battlefields, Fields of Battle is a powerful outdoor photographic exhibition, which tells of the healed scars of the War through our only remaining living witness: the fields of battle themselves. © 2015 Michael St Maur Sheil.